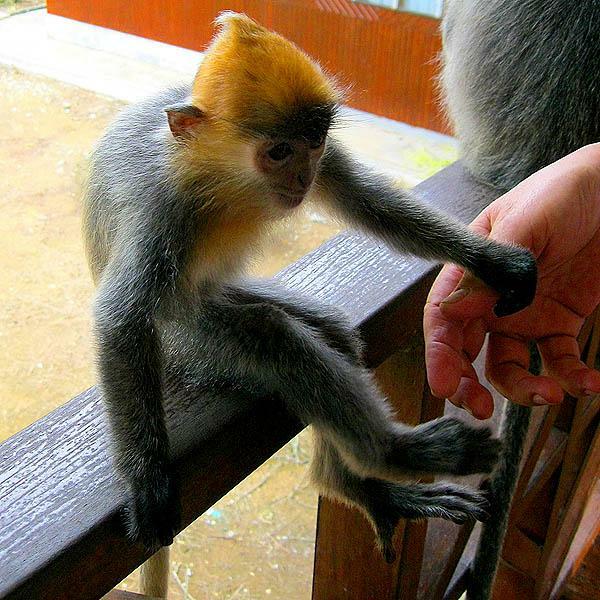 6-7 tour traveling to most of the popular places in Sandakan which are Sepilok Orang Utan Rehabilitation, Labuk Bay (Proboscis Monkey) & Bornean Sunbay Conservation Centre. The main aim for this tour is to bring you to view wildlife in it's best habitat in Sandakan. 08.00 am departure time 45 minutes drives to Bornean Sun Bear Conservation Centre. 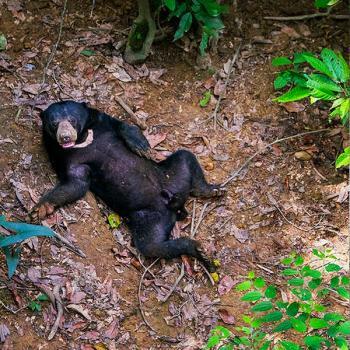 This is the first Sun Bear Conservation Centre in the world. The Sun Bear (also known as honey bear) is a smallest bears in the world. The facilities of the centre include a bear house that can hold 20 bears, 1.14 hectares of natural forest enclosures where the sun bears roam freely during the day and the old bear house and office building that are to be converted into the visitor centre. At 09.45 am proceed to the Sepilok Orang Utan Rehabilitation Centre. It is the oldest and the biggest Orang Utan Centre Rehabilitation in the world where this centre cover 4294 Hectare Kabili, Sepilok forest a virgin jungle reserve rich in tropical rainforest and mangroves swamp. 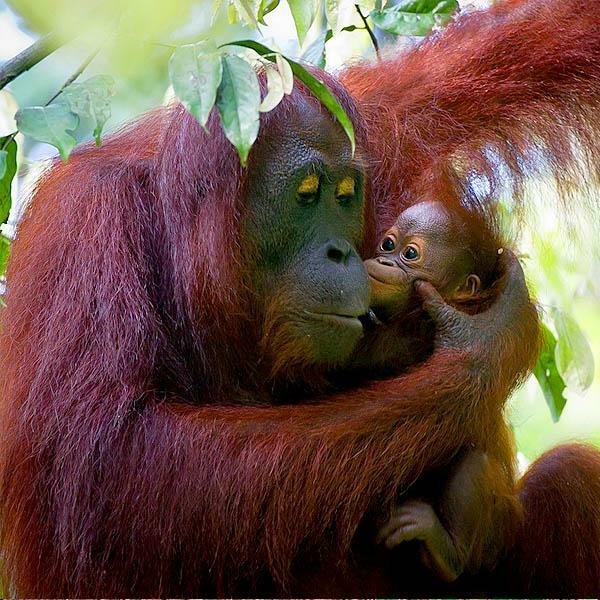 It was gazette in 1964 as a purposed to rehabilitation the orphaned Baby Orang Utan back to the wild. See one feeding on 10.00am. At 10.40am 20 minutes drive to Labuk Bay Proboscis Monkey Sanctuary to catch the feeding of Proboscis Monkey on 11.30am at platform B. 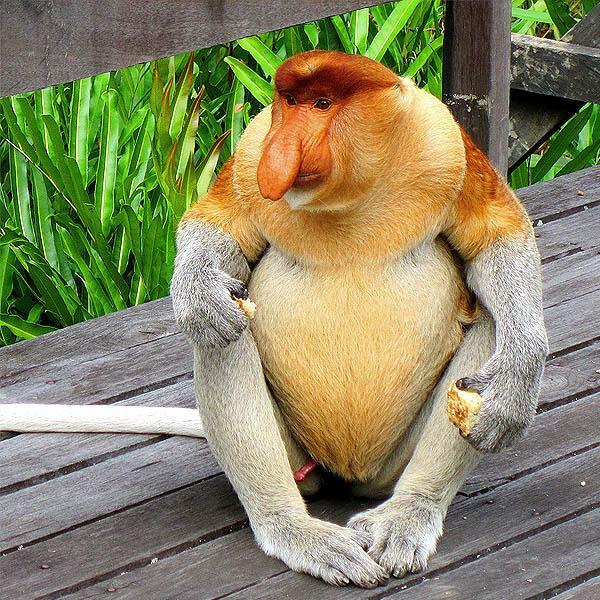 Normally 3 to 5 groups of Proboscis Monkey come out to feed. Silver Monkey and Hornbill can be seen at the sanctuary. Drive to Sandakan or transfer to hotel estimate time arrival hotel at 1.00pm. 1. REFUND: No refund is available for cancellation after the tour has commenced, or in respect of any accommodation, transport or any other service. 2. RESPONSIBILITIES: The organizer has the sole and absolute discretion to cancel or shorten duration of any tour in the event of force majeure, hostilities, accident or other circumstances beyond the control of the organizer which render it necessary in the organiser reasonable opinion that such steps be taken. The organiser shall be relieved from all liabilities and obligations resulting therefrom. 3. PRICE*: Price is subject to change without prior notice. The price converted in USD above is a rough estimation only (at rate of USD$1.00 = MYR3.80), actual rate may be different. 4. GUARANTEE: Tourists are responsible to carrying his / her own personal belongings. The organizer takes NO responsibility for any lost or additional charges/expenses due to delay, sickness, weather, strikes, war, quarantine or other matters. Please enter the following required details. One of our representatives will get back to you within 1-2 working days. Please SelectAF:AfghanistanAX:Åland IslandsAL:AlbaniaDZ:AlgeriaAS:American SamoaAD:AndorraAO:AngolaAI:AnguillaAQ:AntarcticaAG:Antigua and BarbudaAR:ArgentinaAM:ArmeniaAW:ArubaAU:AustraliaAT:AustriaAZ:AzerbaijanBS:BahamasBH:BahrainBD:BangladeshBB:BarbadosBY:BelarusBE:BelgiumBZ:BelizeBJ:BeninBM:BermudaBT:BhutanBO:BoliviaBA:Bosnia and HerzegovinaBW:BotswanaBV:Bouvet IslandBR:BrazilIO:British Indian Ocean TerritoryBN:Brunei DarussalamBG:BulgariaBF:Burkina FasoBI:BurundiKH:CambodiaCM:CameroonCA:CanadaCV:Cape VerdeKY:Cayman IslandsCF:Central African RepublicTD:ChadCL:ChileCN:ChinaCX:Christmas IslandCC:Cocos (Keeling) IslandsCO:ColombiaKM:ComorosCG:CongoCD:Congo, The Democratic Republic of TheCK:Cook IslandsCR:Costa RicaCI:Cote DivoireHR:CroatiaCU:CubaCY:CyprusCZ:Czech RepublicDK:DenmarkDJ:DjiboutiDM:DominicaDO:Dominican RepublicEC:EcuadorEG:EgyptSV:El SalvadorGQ:Equatorial GuineaER:EritreaEE:EstoniaET:EthiopiaFK:Falkland Islands (Malvinas)FO:Faroe IslandsFJ:FijiFI:FinlandFR:FranceGF:French GuianaPF:French PolynesiaTF:French Southern TerritoriesGA:GabonGM:GambiaGE:GeorgiaDE:GermanyGH:GhanaGI:GibraltarGR:GreeceGL:GreenlandGD:GrenadaGP:GuadeloupeGU:GuamGT:GuatemalaGG:GuernseyGN:GuineaGW:Guinea-bissauGY:GuyanaHT:HaitiHM:Heard Island and Mcdonald IslandsVA:Holy See (Vatican City State)HN:HondurasHK:Hong KongHU:HungaryIS:IcelandIN:IndiaID:IndonesiaIR:Iran, Islamic Republic ofIQ:IraqIE:IrelandIM:Isle of ManIL:IsraelIT:ItalyJM:JamaicaJP:JapanJE:JerseyJO:JordanKZ:KazakhstanKE:KenyaKI:KiribatiKP:Korea, Democratic Peoples Republic ofKR:Korea, Republic ofKW:KuwaitKG:KyrgyzstanLA:Lao Peoples Democratic RepublicLV:LatviaLB:LebanonLS:LesothoLR:LiberiaLY:Libyan Arab JamahiriyaLI:LiechtensteinLT:LithuaniaLU:LuxembourgMO:MacaoMK:Macedonia, The Former Yugoslav Republic ofMG:MadagascarMW:MalawiMY:MalaysiaMV:MaldivesML:MaliMT:MaltaMH:Marshall IslandsMQ:MartiniqueMR:MauritaniaMU:MauritiusYT:MayotteMX:MexicoFM:Micronesia, Federated States ofMD:Moldova, Republic ofMC:MonacoMN:MongoliaME:MontenegroMS:MontserratMA:MoroccoMZ:MozambiqueMM:MyanmarNA:NamibiaNR:NauruNP:NepalNL:NetherlandsAN:Netherlands AntillesNC:New CaledoniaNZ:New ZealandNI:NicaraguaNE:NigerNG:NigeriaNU:NiueNF:Norfolk IslandMP:Northern Mariana IslandsNO:NorwayOM:OmanPK:PakistanPW:PalauPS:Palestinian Territory, OccupiedPA:PanamaPG:Papua New GuineaPY:ParaguayPE:PeruPH:PhilippinesPN:PitcairnPL:PolandPT:PortugalPR:Puerto RicoQA:QatarRE:ReunionRO:RomaniaRU:Russian FederationRW:RwandaSH:Saint HelenaKN:Saint Kitts and NevisLC:Saint LuciaPM:Saint Pierre and MiquelonVC:Saint Vincent and The GrenadinesWS:SamoaSM:San MarinoST:Sao Tome and PrincipeSA:Saudi ArabiaSN:SenegalRS:SerbiaSC:SeychellesSL:Sierra LeoneSG:SingaporeSK:SlovakiaSI:SloveniaSB:Solomon IslandsSO:SomaliaZA:South AfricaGS:South Georgia and The South Sandwich IslandsES:SpainLK:Sri LankaSD:SudanSR:SurinameSJ:Svalbard and Jan MayenSZ:SwazilandSE:SwedenCH:SwitzerlandSY:Syrian Arab RepublicTW:Taiwan, Province of ChinaTJ:TajikistanTZ:Tanzania, United Republic ofTH:ThailandTL:Timor-lesteTG:TogoTK:TokelauTO:TongaTT:Trinidad and TobagoTN:TunisiaTR:TurkeyTM:TurkmenistanTC:Turks and Caicos IslandsTV:TuvaluUG:UgandaUA:UkraineAE:United Arab EmiratesGB:United KingdomUS:United StatesUM:United States Minor Outlying IslandsUY:UruguayUZ:UzbekistanVU:VanuatuVE:VenezuelaVN:Viet NamVG:Virgin Islands, BritishVI:Virgin Islands, U.S.WF:Wallis and FutunaEH:Western SaharaYE:YemenZM:ZambiaZW:Zimbabwe Please select country of origin. Please Select123456789101112131415More than 15 Please select number of adult. Please Select0 (None)12345More than 5 Please select number of children. Please SelectSelf Arranged (Not Required)Sabah HotelHotel SandakanFour Points By SheratonNak HotelPaganakan DiiSwiss Inn Please select number of children. Sandakan Hotspot Tours & Travel Sdn. Bhd.